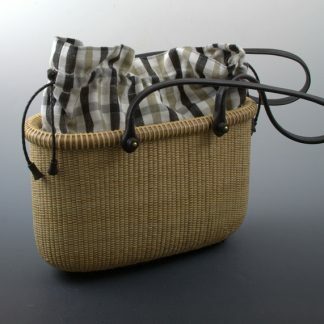 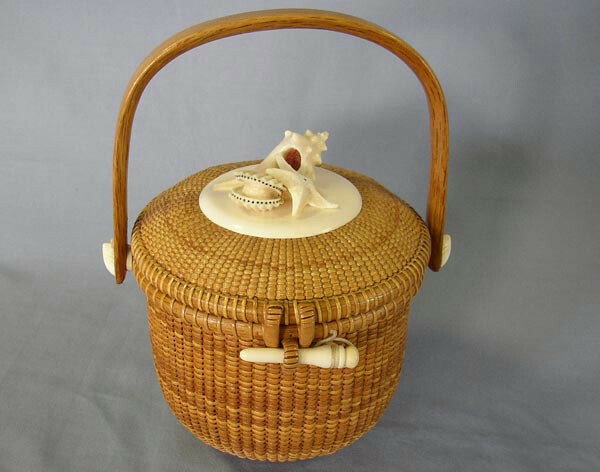 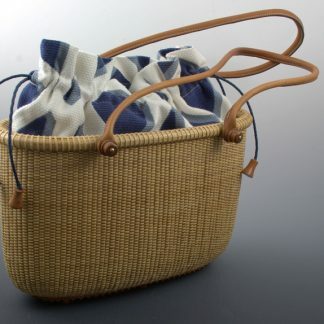 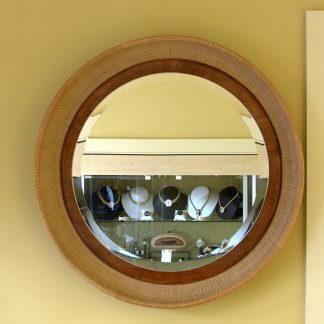 This shows a 5″ round Nantucket Lightship Basket made by Michael Kane before the renovation. The basket had the white top with just a single carved scallop shell and then after it had the grouping of three shells. 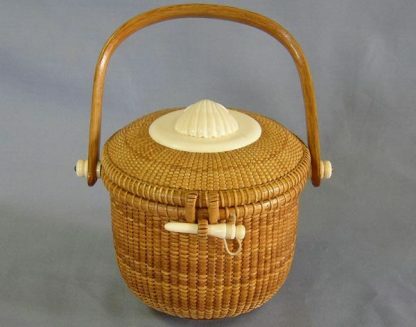 The basket looked totally different.